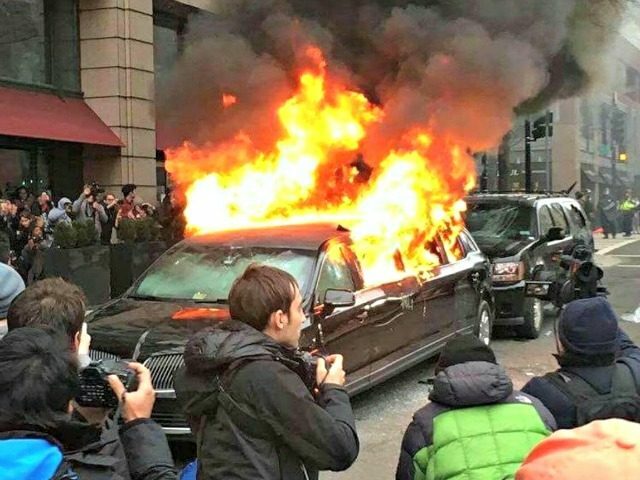 Supporters of President Trump have helped raise nearly $24,000 for a limo owned by a Muslim immigrant after it was set on fire and destroyed by left-wing protesters during the inauguration riots. 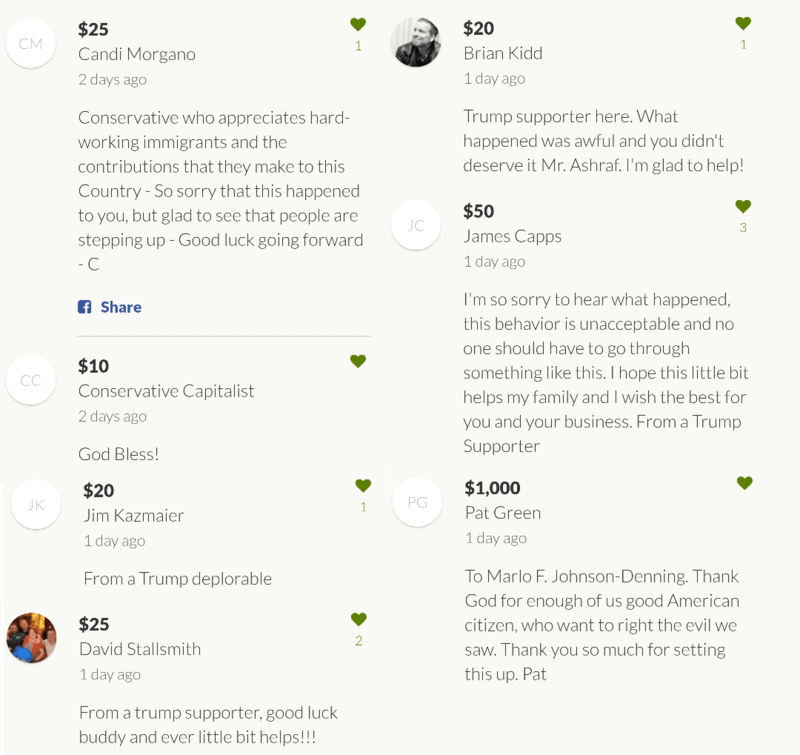 The GoFundMe page for Nationwide Chauffeured Limo Service recently reached just under $24,000 in donations, most of which have come from conservatives and other limo service workers, after one of the company’s limos was attacked by a mob of protesters and completely damaged on inauguration day. The limo, which was owned by Muslim immigrant Muhammad Ashraf, was attacked with bricks and rocks after dropping off a customer, before the vehicle was completely torched– leaving the driver with minor injuries. Ashraf, who did not support President Trump during the election, expressed disappointed in the protesters who torched his limousine. Though nearly $24,000 has been raised, the damage to Ashraf’s vehicle is reported to cost around $70,000, which does not include the medical expenses and commission for the driver who was attacked.